The spooks have been spooked! It must be a fluke! All you can hear is Boooooooo hooooooo! Surely Broomhilda will be up in no time! 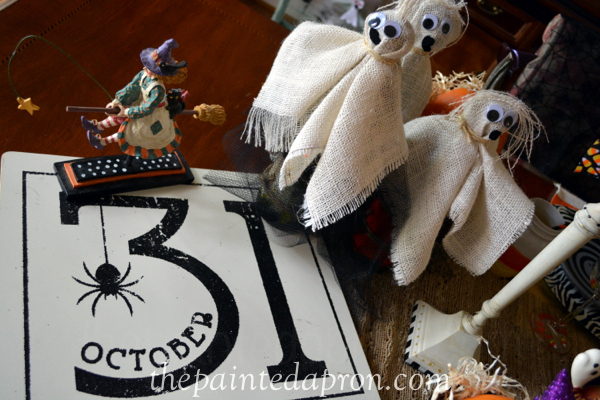 There has been quite enough fright for a Halloween night! 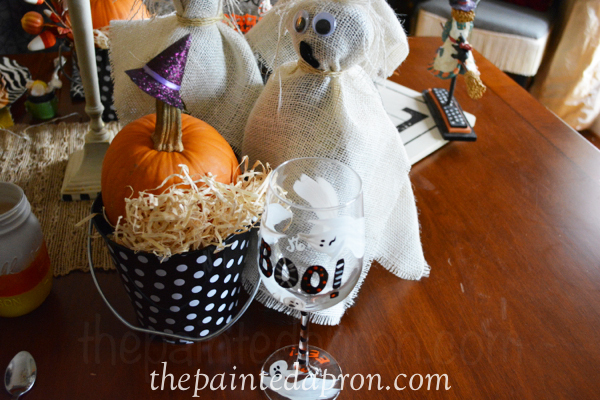 There is a pumpkin and a bucket for your Trick or Treat! It’s nothing more than some Halloween fun! I think after all, she’s just under a spell! 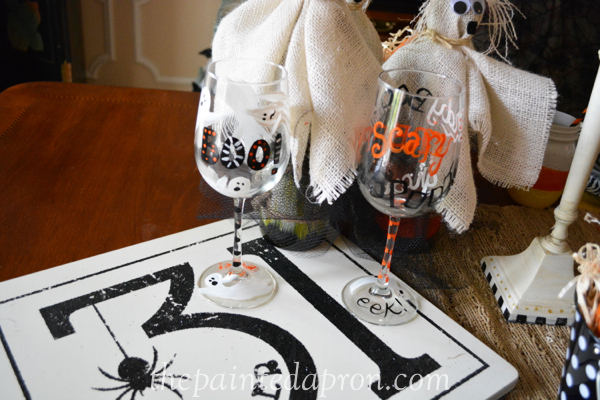 Time to get ready for Halloween!! Be careful if you go to Spooky St.! Jenna, you are too much! 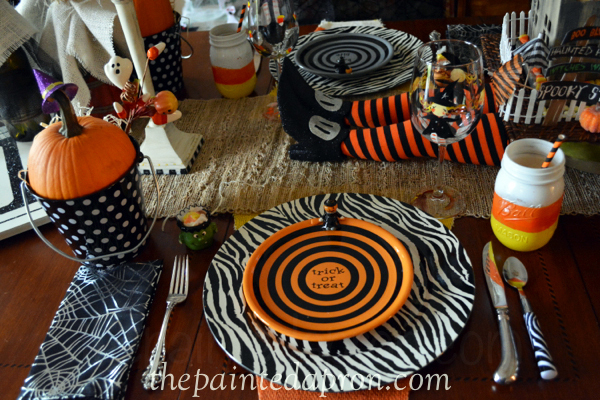 Your table does nothing but make me smile, especially the witch legs. I saw some cute ones at TJ Maxx the other day, but I resisted since we’ll soon be leaving this house. Guess I could have gotten them for next year. So cute and I loved the poem! 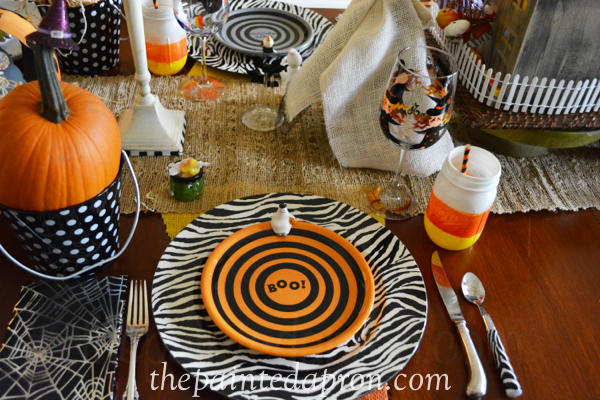 lol I love that centerpiece. Poor ol Broomhilda, she should have been a good witch instead of a naughty one! 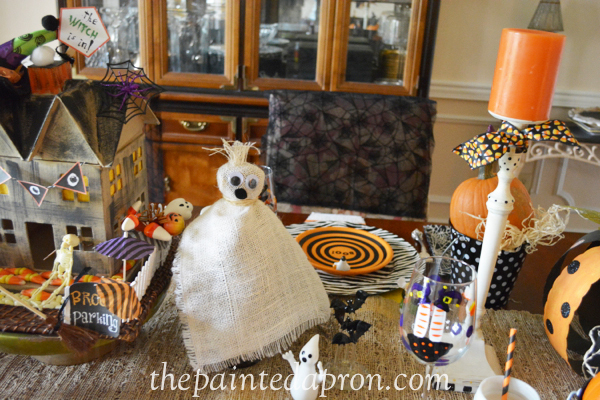 Jenna, you haunted house is adorable! Did you create a tutorial showing how you made it? I love it! 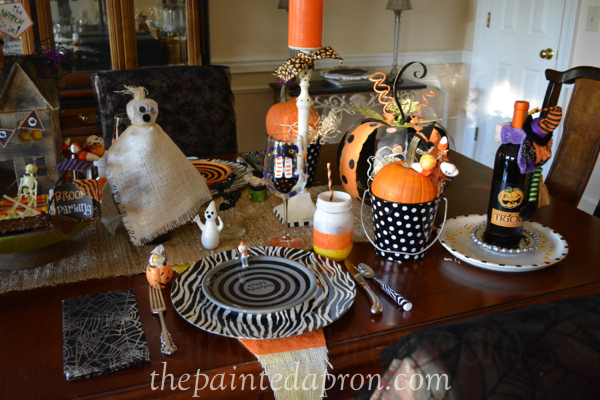 Great table setting…love all the elements and would love dining here for Halloween! Oh how fun! 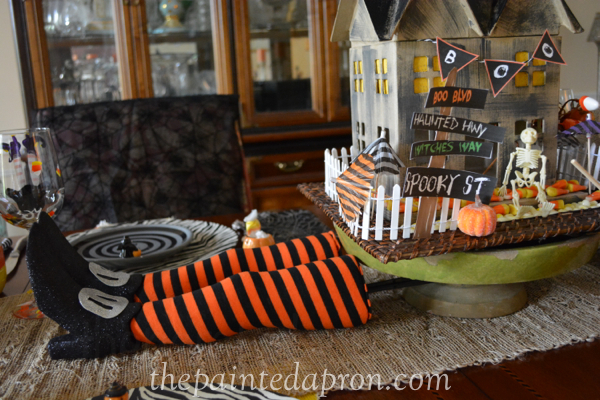 Love all the details- the witche’s legs under the house are too funny! 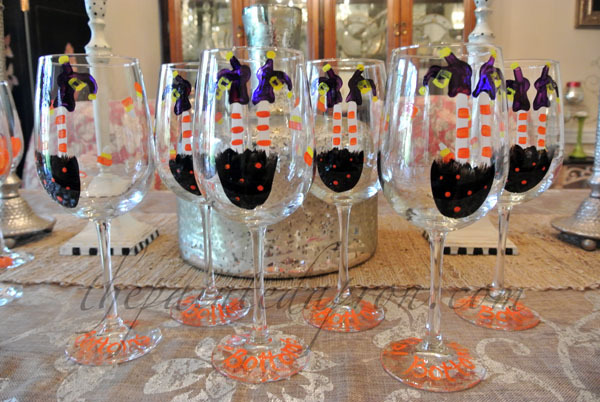 The stemware with the witches legs are the cutest and I like the wild patterns on the plates! Loads of fun here! 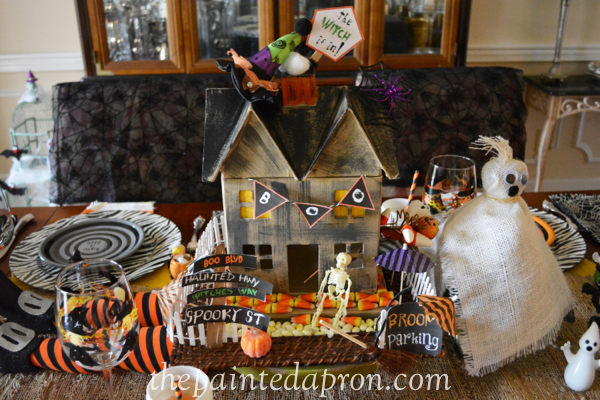 So clever and whimsical! 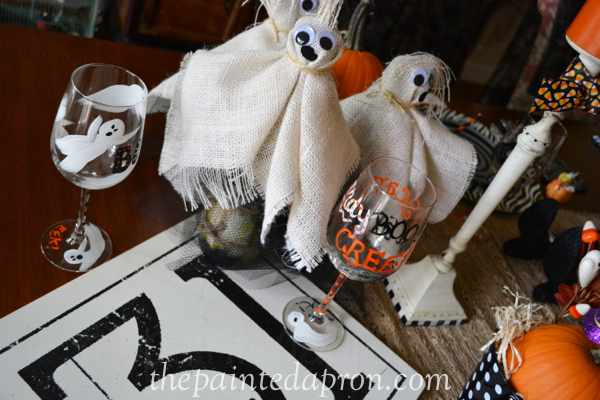 Your centerpiece is delightful…love those goblets. This is just the cutest! I LOVE the house on the witch!!! Inspired! 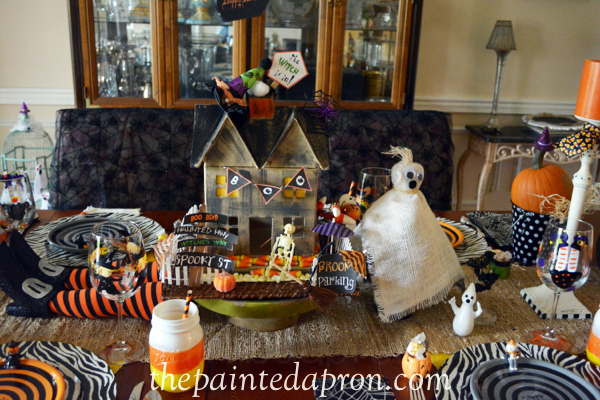 Best table scape, EVER! ha! Thanks so much Patti!! THIS IS TOO COOL!!!!!!!!!!! I love it, Jenna! You are leaps and bound ahead of me on the Halloween front. I just can’t seem to get it in gear this year. But you…YOU have gone WAY above the call!!! The poetic twist is terrific, and just the visual of Broomhilda’s spindly little legs poked out from under that house…hilarious! You did a great job!!!! Thanks so much Alycia! Halloween is just so much fun! 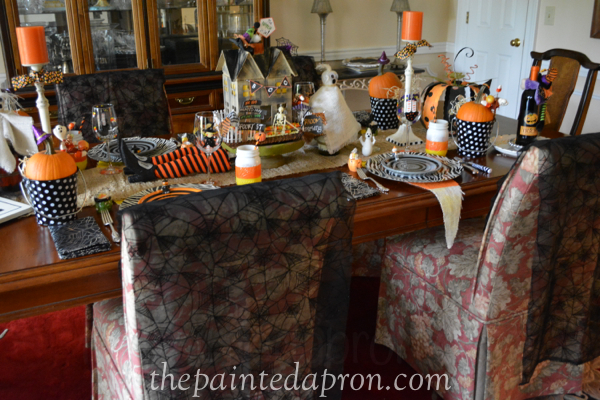 I think the first blog of yours I ever read was your Halloween tablescape several years ago, and as I recall, it was pretty spooktacular! Everything here is just too much fun! I would be like a kid in a candy shop in this room. Beautiful! thank you Sandra, so sweet of you! How adorable!! 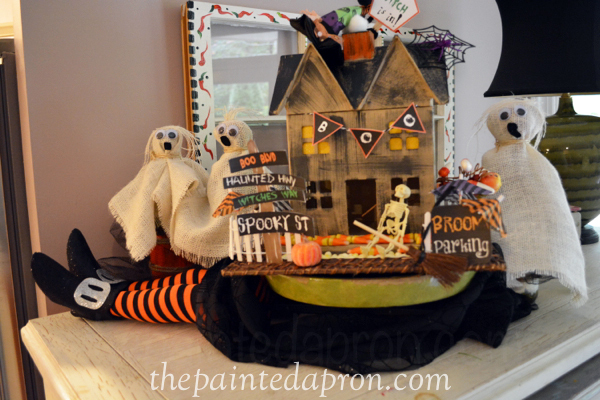 From the decorations to your own words to describe it, this is a really fun post. 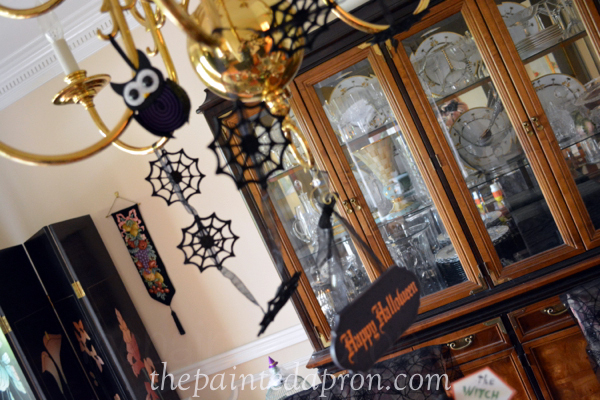 Makes me wish I had more time to get some decorating done around my house (or have you over to help me do it 😉 ) It’s a festive sight for sure. Thank you for sharing it! Poor Broomhilda. LOL Loving this table,it gave me such a laugh. 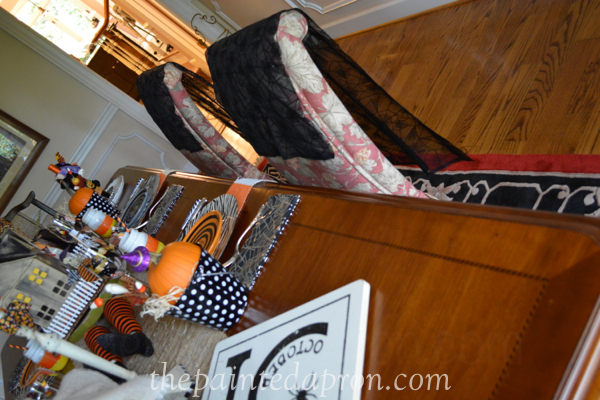 Between you, Mary and Linda….You ladies really get me into the Halloween Spirit! 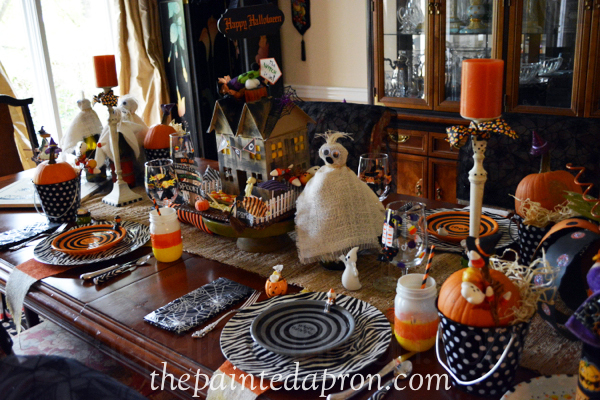 Jenna, this tablescape is darling. 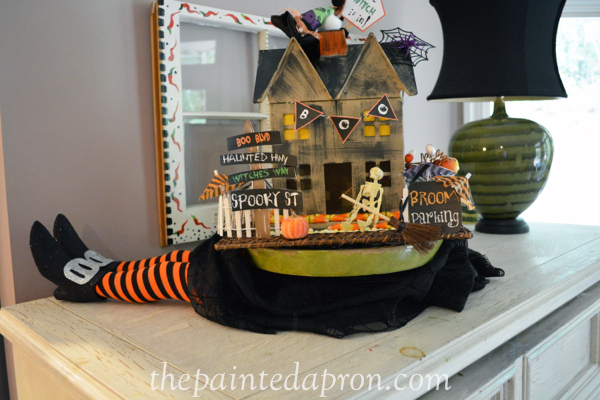 Love the title and the house on top of the witch legs. 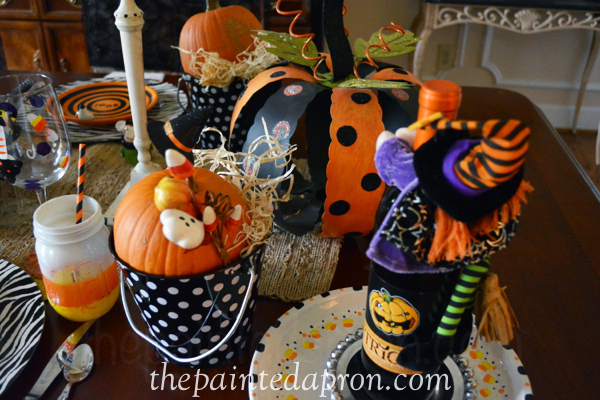 Fun, whimsical and so creative. You have some cute and creative accessories. 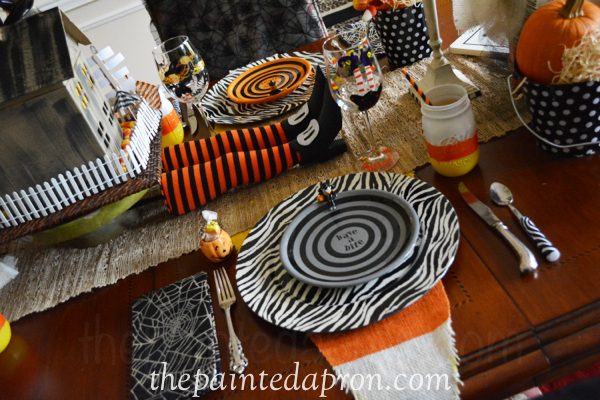 So glad to be joining you as a co-host for this fun halloween Tablescape Link Party. I remember this and the legs under the house! So cute! !